Who cares what my time was? I earned the medal! I can’t think of a more incredible running medal. Congratulations!! Thank you for the follow Rebecca. When I went to check out your blog, it sure looking like the BAA medal proudly draped around your neck in your gravator. I could not enlarge that picture, but with this post I know for sure. This is awesome, and truly amazing. Congratulations on this accomplishment. I keep thinking of the qualifying time required for me, and trying not to let it overwhelm me, as I would love to have that experience. I’ll keep running for my love of running, and see where it takes me. Wow! 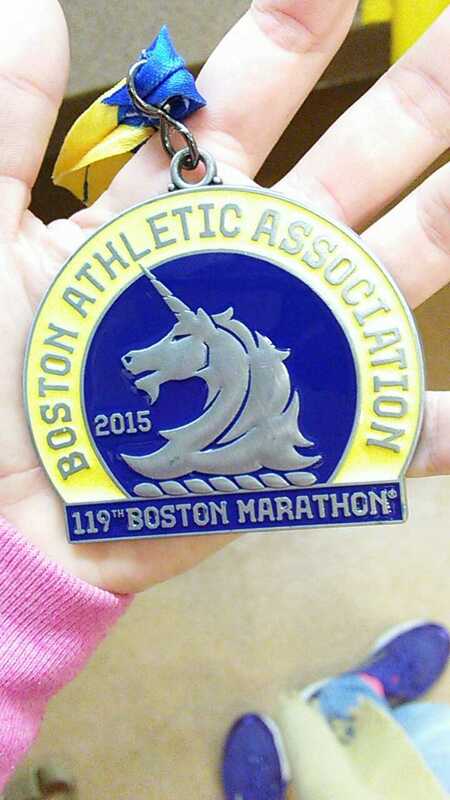 Nice looking medal. Well done on such an achievement. Well done! A highly coveted bit of bling!